Howdy! Grab your saddle and get ready to ride out & learn about Jesus! 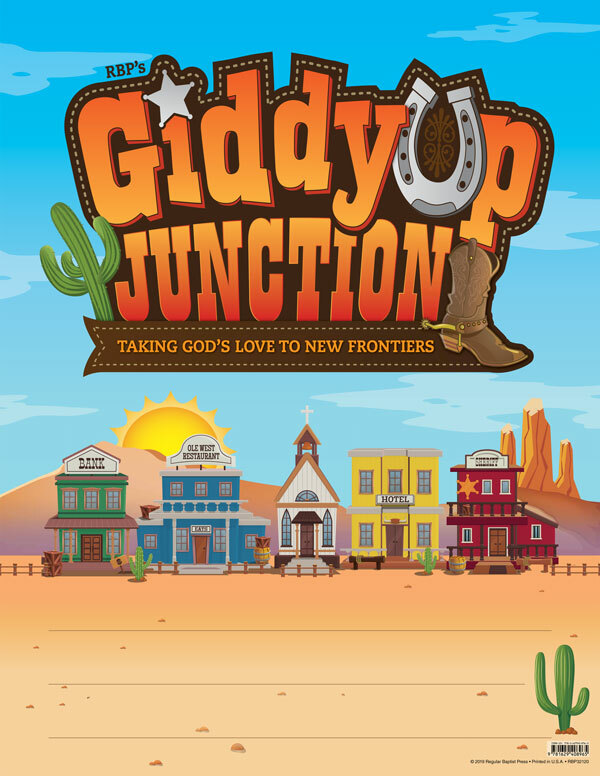 Children age 4 through those who have completed 5th grade are all invited to Giddy Up Junction, where we learn to spread God's love through the Wild West. There will be lively singing, creative crafts, fun games, exciting Bible stories, and tasty snacks – all the things that make VBS so much fun for children. Please remember that our crafts can sometimes get a little messy, so be sure to dress your kiddos in appropriate clothes - not too nice. VBS will conclude on the evening of Thursday, July 11th with a free picnic for the whole family in the church yard with hotdogs, chips, fruit, drinks and Wild West fun. The kids will also share what they have learned from the week with a program of songs. It will be a great time for all. There is no cost to attend our VBS!